This was after Econet introduced unlimited WhatsApp bundles. Econet is Zimbabwe's largest mobile network with about 8.8 million subscribers. 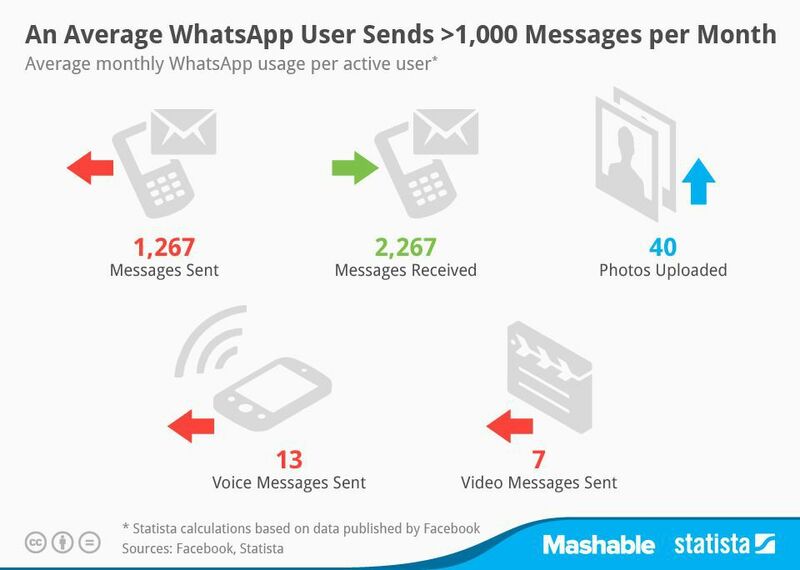 Its safe to assume that the users in Zimbabwe are exceeding the above stats of sending on average 1.2K messages and 40 images uploaded Source. In Kenya, Safaricom last year introduced the Chattitude bundle, a 20MB plan for accessing social media sites. While it is unlikely Safaricom would go down the path of an unlimited bundle, It will definitely be interesting to see how much this affects their network usage.